(MPI Portal) – In the framework of Korea’s Knowledge Sharing Program (KSP) with Vietnam, on March 11th 2015 in Hanoi, Development Strategy Institue (DSI), Ministry of Planning and Investment in coordination with Korean Development Institute (KDI) held Final Reporting Workshop of 2014 Knowledge Sharing Program (KSP 2014). Attending the Workshop, on the Vietnam’s side, there were Dr. Nguyen The Phuong, Deputy Minister of the MPI; Assoc.Prof.Dr. Bui Tat Thang, President of DSI; Ms. Phan Ngoc Mai Phuong, Vice President of DSI and Project Manager of KSP 2014. 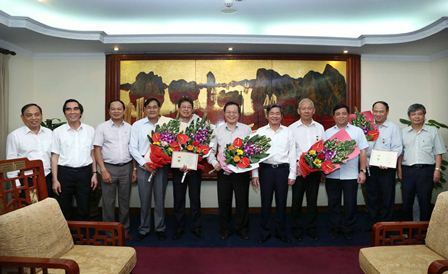 On the Korea’s side, there were Mr. Jun Dae Joo, Korean Ambassador extraordinary and plenipotentiary to Vietnam; Prof. Sang Woo Nam, Project Manager of KSP 2014 with Vietnam, former dean KDI school of Public Policy and Management; and representatives of policy makers, scientists, managers, corporations, international organizations, embassies, related ministries, branches and press media agencies. Welcoming the Workshop, Vice Minister of the MPI Nguyen The Phuong highly appreciated KSP’s results for Vietnam. The MPI has been supported to implement KSP by Korean Government since 2004, the first year of Korea's KSP implementation, and is focal point for KSP implementation on Vietname’s side. Goal of the Program is sharing Korean experience in economic development with developing partner countries. 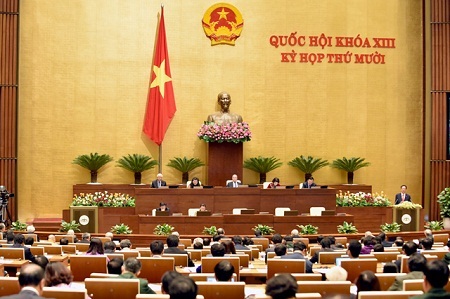 Continuing the success of KSP 2004-2005, 2009-2011, 2012, 2013, KSP for Vietnam has been concluded the seventh year. 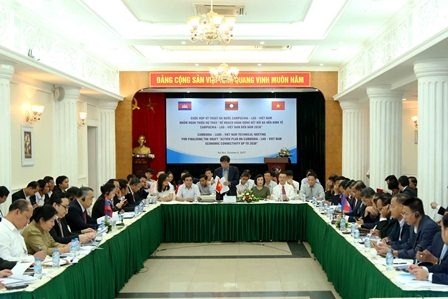 The Deputy Minister said that after 5 years of upgrading bilateral ties to "Strategic Partnership”, in 2014 Vietnam – Korea relation continued extending and deepening, the two countries have been more and more becoming important partners of each other on many fields, especially bilateral economic cooperation. In the visit to Korea and attending the Commemorative Summit on 25th Anniversary of ASEAN – ROK Dialogue Relations in December 2014 in Pusan, Prime Minister Nguyen Tan Dung joined the colloquy with Korean President Park Geun-Hye. They witnessed signing of negotiation conclusion of Vietnam – Korea FTA, an important event, not only strengthening bilateral trade cooperation towards the goal of US$ 70 billion by 2020, but also contributing to comprehensively promoting Vietnam – Korea Strategic Cooperation Partnership. KSP, which was initiated by Korean Ministry of Strategy and Finance and has been implemented since 2004, is one of practical and useful bilateral cooperation. In the framework of KSP, Korea is evaluated as an successful nation in shifting from aid recipient to aid supply country with increasing scale for developing nation, including Vietnam and actively sharing experience of economic development with partner nations receiving assistance of the Program. 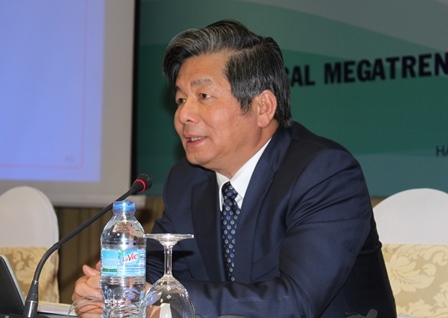 Mr. Jun Dea Joo, Korean Ambassador extraordinary and plenipotentiary to Vietnam said that final report of KSP 2014 has confirmed the big effort of Korean experts, researchers for Vietnam. 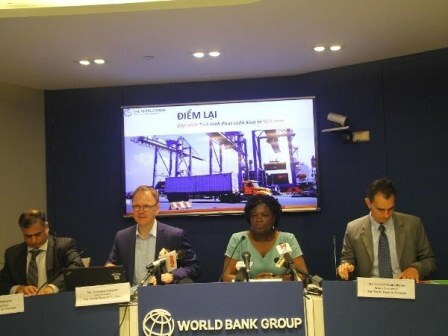 In the context of many changes of world economy, Vietnam has still gained significant results in implementation of socio – economic development goals. Korea continues to go along with Vietnam to find the most useful and most long-term methods in order to facilitate Vietnamese development. KSP 2014 focuses on 4 topics, including: Strategies for sustainable regional economic development: Korean experience and lessons for Vietnam; Policies for IT infrastructure provision to foster the use of online transactions in Vietnam: Focus on National Civil Registration System; Establishing a technology appraisal system for financing innovative SMEs in Vietnam; Housing pre-sale and guarantee schemes for Vietnam: Lessons from Korean experience. This Workshop is an important opportunity after one year implementation of the Program to share and publicize widely the final outcomes, which Korean and Vietnamese experts have coordinated to implement for months. 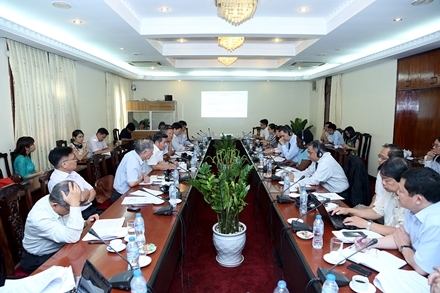 At the Workshop, the two sides evaluated, commented and discussed the research outcomes by every topic, especially policy implications and recommendations from Korean experience for Vietnam. 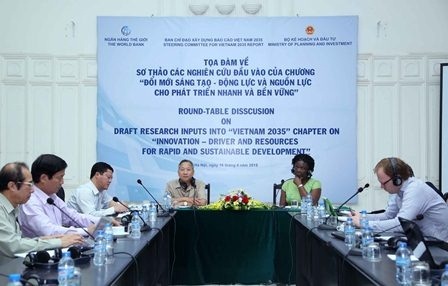 Thereby, the experts would complete to publish KSP 2014 book, which is a useful reference for policy makers, scientists, managers of Vietnam and other development partners./.